Making a decision to move your parent or loved one into aged care can be an extremely difficult decision to make. Furthermore, the financial burden for the family could be significant as you are paying for all costs associated with living as well as the care required to look after your loved one. Fortunately, the government can cover a large proportion of the costs depending on your situation. So it’s important to be mindful of the expected costs of moving into aged care and what exactly the government will subsidise. In addition, we can expect new regulations to be introduced at the conclusion of the aged care royal commission so it’s highly advised that you are up to date on new laws introduced that are relevant to your situation. The guide below provides an overview of the costs relating to Aged Care along with key terms and requirements. The aim of this is to help you understand what assistance you can get as well as what to budget for. During the initial stage of your aged care financial planning, you may need to file for an income and assets assessment. This is assessed by the Department of Human Services (DHS) or the Department of Veterans’ Affairs (DVA). This process often takes time so you may need to arrange this as soon as you can before you can start receiving care. The income assessment determines if you need to pay for an income-tested fee. This is a fee that may be charged by your Aged Care provider and is dependent on your individual income situation. It is calculated at a rate of 50% above your income free area which is the income, a pensioner receiving income support, may receive without a reduction in pension as per the income test. If your pension is means tested, you will not need to lodge and income assessment. Otherwise you will need to complete the assessment in order to avoid paying the maximum income-tested fee. There are a number of costs relating to Aged Care Accommodation which we have covered below. In addition to the fees mentioned in the next 3 points, you may also be asked to pay an accommodation contribution or payment.. If subsidized by the government, this fee could be paid in full or in part while those who do not qualify for government subsidy will have to pay the agreed price set by the Aged Care provider. It is important to complete an income and assets assessment otherwise there will be no financial assistance from the government on the accommodation costs. A basic daily fee in Aged care is a charge that covers your daily living costs. This includes such things as laundry, meals, general cleaning and maintenance and temperature control. Upon entering the facility, you will receive a notification from Australia’s Department of Human Services verifying what basic daily fee you will need to pay. This fee is calculated daily for each day you are with the aged care facility which is the day you were accepted until the end of your care. If the basic daily fee is 85% of the single person rate of the basic age pension, this could be around $50.66 per day or $709.24 per fortnight. This calculation is based on the basic age pension of $834.40 per fortnight. The means-tested care fee is a contribution to the expenses related to the care of the Aged Care individual. The cost of this will vary depending on your assessed income and assets and the cost of care required. There are lifetime caps to this fee, however to receive assistance, the income and asset assessment form needs to be completed. Fees for extra services may only apply if you decide to have a higher standard of accommodation, pre-selected meals or other form of care or services. The aged care facility will determine how much extra fees you have to pay but these should be advertised by the aged care home as this is required by law. Furthermore, extra service or additional fees must be outlined in your resident agreement with an itemised account of all the extra service fees you are required to pay. 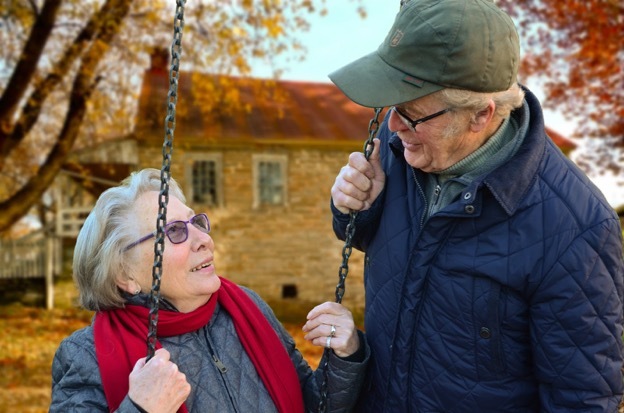 Aged care financial planning is vital in ensuring you will be capable for your aged care should you not be eligible for a government subsidy. But this should can be made easier with the right resources to manage your money. Whether you have a lot or little, you will feel more secure and in control if you take charge of your money. By tracking your spending and creating a budget will help you sort out your priorities for your aged care. The capacity to avail for aged care financial services will depend upon your understanding of the vital role that funds have for your future as well as your family’s peace of mind. Talking to aged care financial advisors will help you evaluate your assets, manage your care costs and make sure your finances are secure. They can provide important aged care financial advice in determining your aged care options. These professional advisers have the expertise to understand your current financial condition and arrange your finances to ensure you enjoy the most of your wealth. Superannuation was created to help people prepare for retirement, a term likely to bring in at least some period within the aged-care sector. A person is not required to understand the complexity of superannuation in order to be accepted in an aged care home but it does specify the difficulties fundamental in negotiating with the sector, even for people knowledgeable in dealing with technicalities. This is why it is recommended to avail aged care financial services to get proper advice regarding this matter. What If You Can’t Afford Aged Care? The Australian Government understands the fact that not all are capable to pay the cost of aged care. This is why there are provisions in place to make sure that even those who cannot afford can still receive the much needed accommodation and care services. To help ensure you get the maximum support from the Government and leverage assets like a property or Super will help you get further in paying for Aged Care. There is a lot to consider so it’s important to get the appropriate financial advice from experts in the field. Aged care decisions begin with understanding the role that funds play in the future for you and your family. Our specialist advisers are here to help you manage assets and expenses. If you feel that you would face hardship in planning your aged care home setup than we can help ensure that your time is spent looking after the more important details of the move and not spent worrying about the financial aspects of going into an aged care facility. Another level of Government Autocracy – Where’s this Leading? 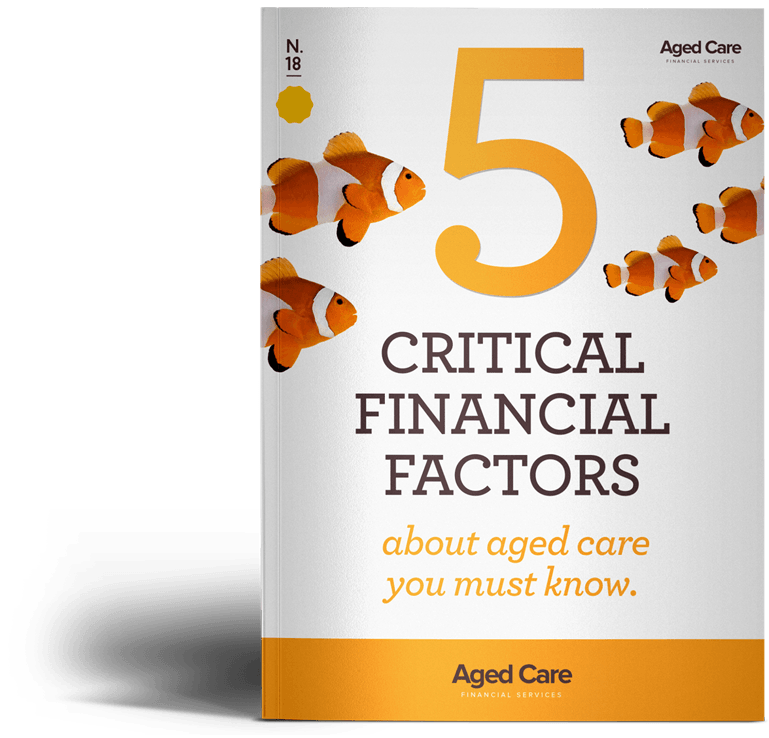 5 critical financial factors about aged care you must know! Aged Care Financial Services began with someone in your exact position: searching for the best aged care facility for a loved one. We aim to ease the anxiety and confusion, the second you get in touch with our supportive advisers.